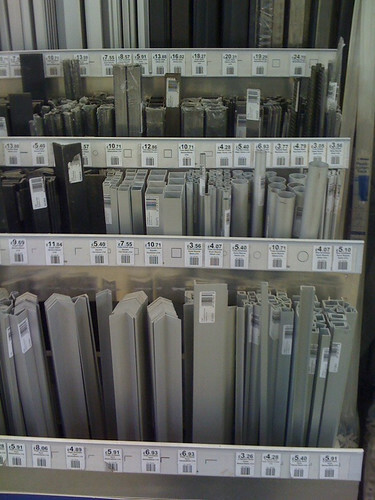 Spotted this lovely rack of Aluminium (and cold rolled steel) profiles in a local DIY store the other day (Wickes), and trying to figure out how many fun things I can make with this stuff. Way to expensive, but it's nice to see a such a specialist range of profiles so readily available. If I'm caught in a squeeze I'll know where to go, but for everything else I think I'll be buying trade!